Acontis Technologies GmbH of Weingarten, leading provider of EtherCAT software, today announced the release of its EC-Master EtherCAT Master Stack for the Texas Instruments TI-RTOS Kernel (SYS/BIOS). The acontis EtherCAT Product Family is a complete portfolio of EtherCAT related products which enables customers to quickly create reliable, high-speed and competitive EtherCAT solutions. As there is a growing demand for sophisticated deeply embedded EtherCAT solutions, acontis continues its strategy to adapt their EC-Master EtherCAT Master Stack to more and more such platforms. 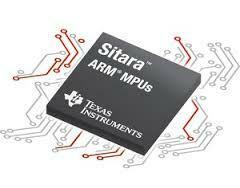 The Texas Instruments TI-RTOS Kernel (formerly known as SYS/BIOS™) is an advanced, real-time kernel for use in a wide range of DSPs, ARMs, and microcontrollers. 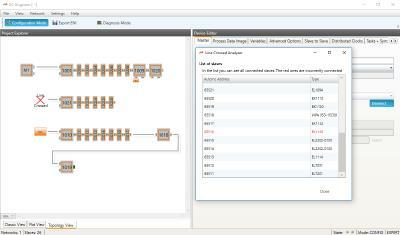 It provides preemptive multitasking, hardware abstraction, and memory management. 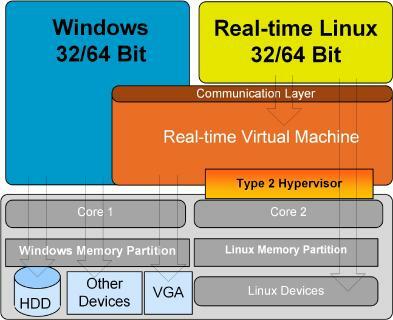 TI-RTOS Kernel is at the core of TI-RTOS, a full-featured real-time operating system including drivers, networking and USB stacks. 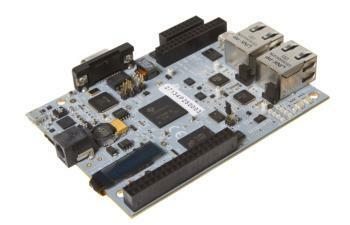 As a first available implementation, the high performance Sitara ARM Cortex platform and the TI ICE2 board is supported. EC-Master for TI-RTOS kernel (SYS/BIOS) is shipped together with an high speed driver for the internal CPSW Ethernet MAC of the Microprocessor. Thus, EC-Master for TI-RTOS (SYS/BIOS) provides a sophisticated EtherCAT solution which customers can use to implement EtherCAT communication interface boards, EtherCAT based PLC or motion control applications. Due to this architecture combined with the high speed Ethernet driver it is possible to implement applications on the Sitara platform with short cycle times up to 100 microseconds. 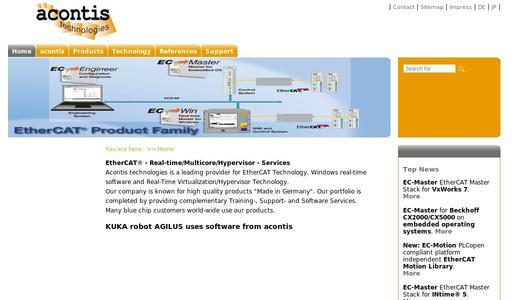 Acontis technologies is a leading provider for EtherCAT Software, Windows real-time software and Real-Time Virtualization/Hypervisor Technology. Our company is known for high quality products "Made in Germany". 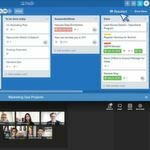 The product portfolio is supplemented by professional Training-, Support- and Software Services. Many blue chip customers world-wide use our products.